Mark your calendars for Saturday December 1st. 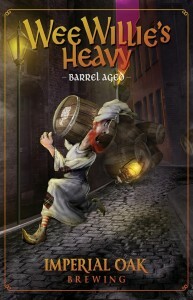 We will be releasing our malty, delicious, Strong Scotch Ale, Wee Willie’s Heavy. 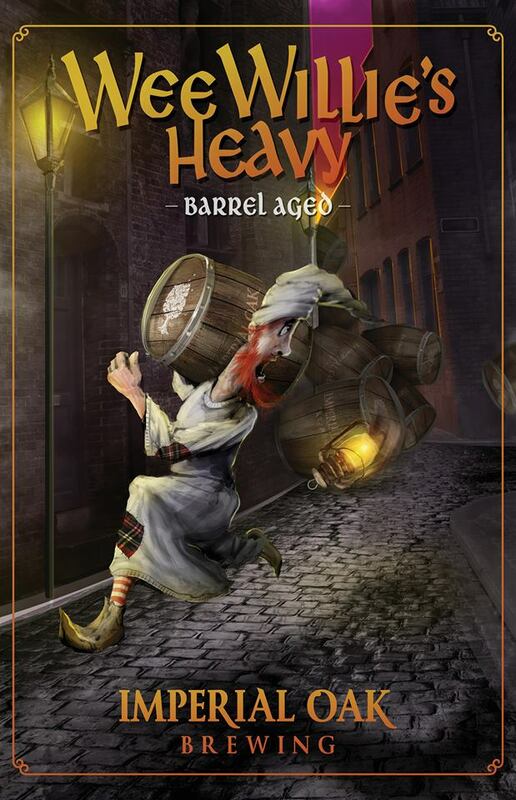 Along with the base beer we will be releasing Rye Whiskey Barrel Aged Wee Willie’s Heavy. This version spent a year in a blend of Buffalo Trace and Quincy Street Rye whiskey barrels. The spicy rye whiskey blends perfectly with the sweet, toffee character of the base beer. We will also have a vanilla and sea salt variant as well. Both BA versions will be available of draft and in 2 packs of 12 oz cans when we open at 11am.